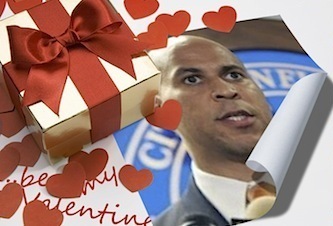 An opinion piece from the Stanford Daily’s archives reveals that Newark, New Jersey mayor and potential senator Cory Booker’s gay college counselor cured his homophobia. 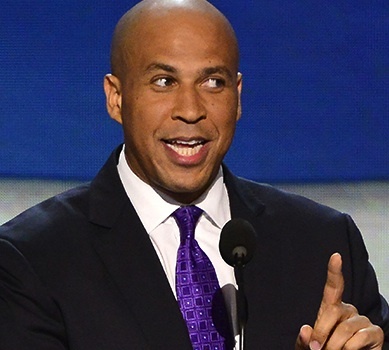 In 1992, Booker wrote that he was “disgusted by gays” until a Stanford therapist shared his life story and the stories of the physical attacks and verbal condemnations of others like him. It was chilling to find that so much of the testimony he shared with me was almost identical to stories my grandparents told me about growing up Black. Well, it didn’t take me long to realize that the root of my hatred did not lie with gays but with myself. It was my problem. A problem I dealt with by ceasing to tolerate gays and instead seeking to embrace them. But again, I will never point a finger when the finger is best pointed at me. Alas, occasionally I still find myself acting defensive if someone thinks I am gay or sometimes I remain silent when others slam and slander. These realizations hurt me deeply. I must continue to struggle for personal justice. This is my most important endeavor. I think it’s silly to assume that not hating an entire community of people suddenly makes you a part of it. If a member of the Klan denounced their ways, would that make them black? In these efforts I have found another community with which I feel akin and from which I draw strength. The gay people with whom I am close are some of the strongest, most passionate and caring people I know and their demands for justice are no less imperative than those of any other community. I love Cory Booker now. Love love love love love. Gay or straight. Human or human. Please let me know if you’re looking for a writer for your weblog. You have some really good articles and I believe I would be a good asset. If you ever want to take some of the load off, I’d love to write some material for your blog in exchange for a link back to mine. Please send me an e-mail if interested. Kudos!